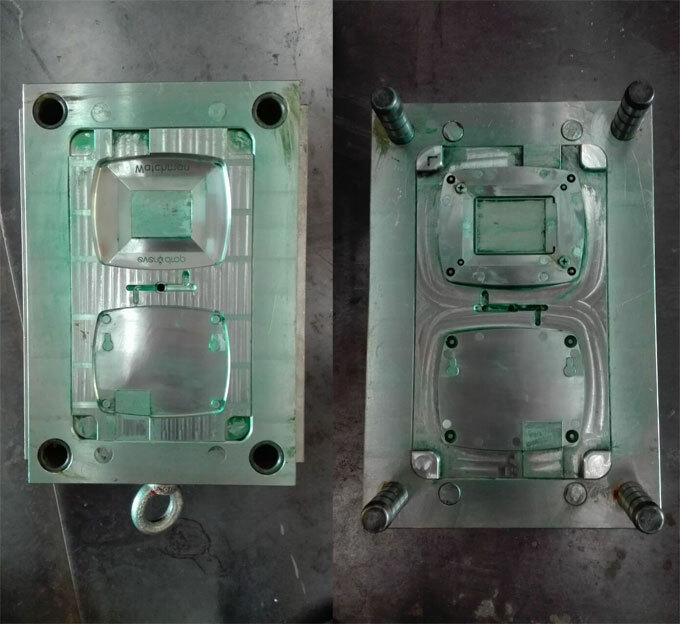 Recently, ACO Mold made a plastic protective case for an electronic product, made by ABS, here we share with you the injection mold making process and some solid experiences to fix sink mark defects. The plastic protective cases are consisting of two parts, the upper and bottom covers. Considering of low volume production, 5k, in order to save costs for our customer, ACO Mold go 1+1 mold solution. 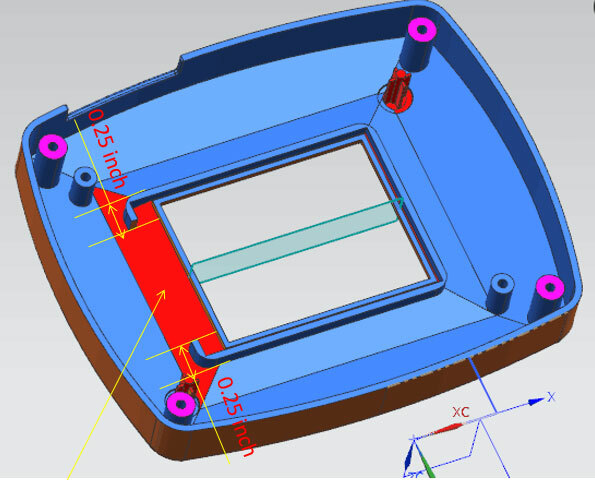 Before making the injection mold, ACO Mold do DFM analysis of the plastic protective cases, and verify some important information with the customer, like parting line, gate position, ejection, etc. 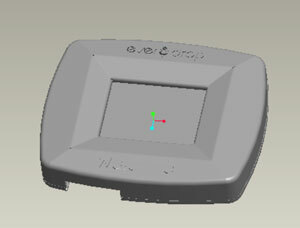 After the verification with the customer, ACO Mold made 3D design layout of the injection mold. 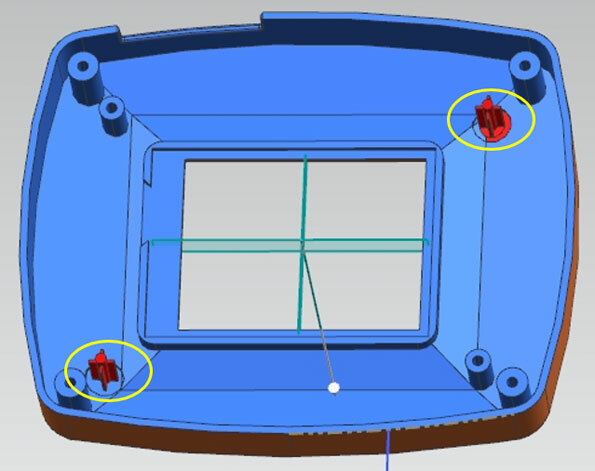 Injection mold making took 4 weeks, ACO Mold did T1 sample testing on the scheduled time, but there were sink marks on the surface of the plastic case (marked by red cycles in following picture), the reason of the sink marks was the thickness is too heavy in those positions, which we had stated this risks and proposed to change that in DFM phrase, unfortunately customer insist on going forward any way with their own original design. See below pictures, the sink mark is quite vivid on the outer surface. 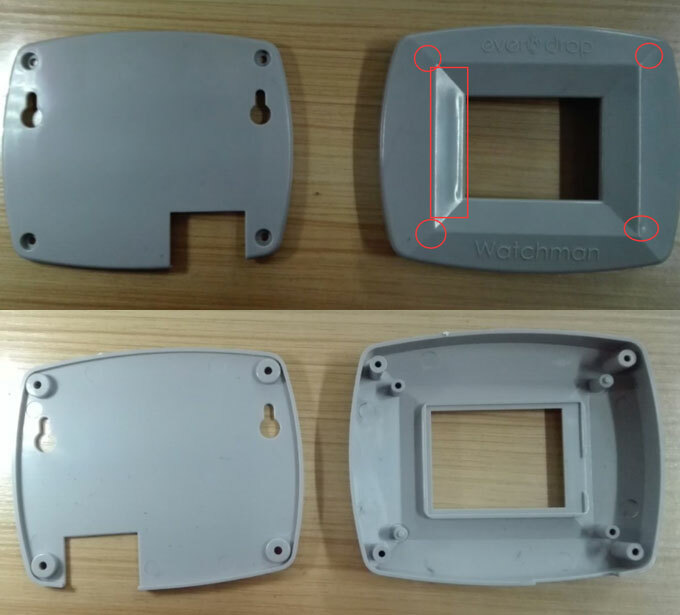 ACO Mold discussed with the customer about the sink marks, the customer agreed to send the T1 samples to check if there is any other function issue or any assembly issues, the customer did the testing, everything was great except the sink marks. 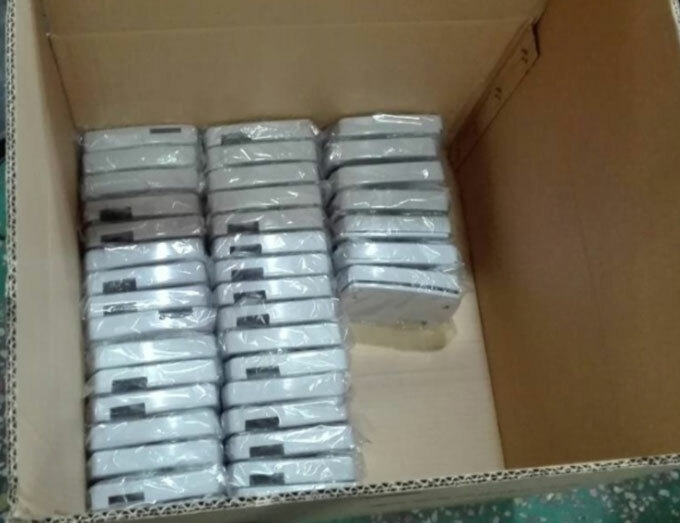 ACO Mold optimized the product design after discussed with the customer about the function and assemble of the protective cases. 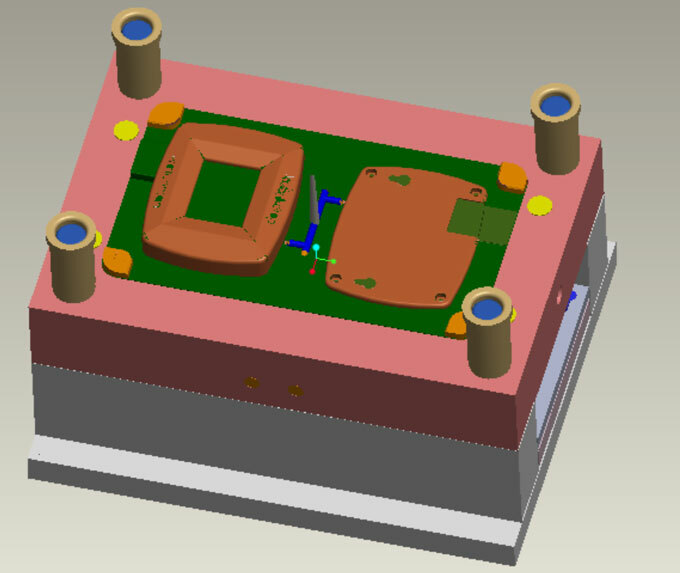 ACO Mold made a PPT to show the customer about the modification of the protective case by understanding its function & assembly before finalizing the design. There are 2 solid pillars are designed as press-in-tight function, this 2 pillars are completed solid, which is very difficult to maintain good looking on the opposite surface due to natural shrinkage phenomenon, we changed it to a cross feature with much less material and meanwhile we create a groove around the root of the cross feature to ease the shrinkage mark , see the picture below how it looks like. Secondly, we massively reduce material on the heavy material section area (highlight in red color), to make it as even as possible with the all over wall thickness. After modification, we set up for trail, as you can see from the picture, the sink mark problem was resolved. T2 samples were approved fast by customer, and we go ahead for mass production. 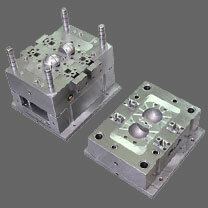 Injection mold making is a customized process, ACO Mold engineers work closely with customer to understand their requirements and make proper solution to achieve the best possibility,we are not simply a mold manufacture to deliver the parts according to design, we offer solutions and deliver satisfaction. 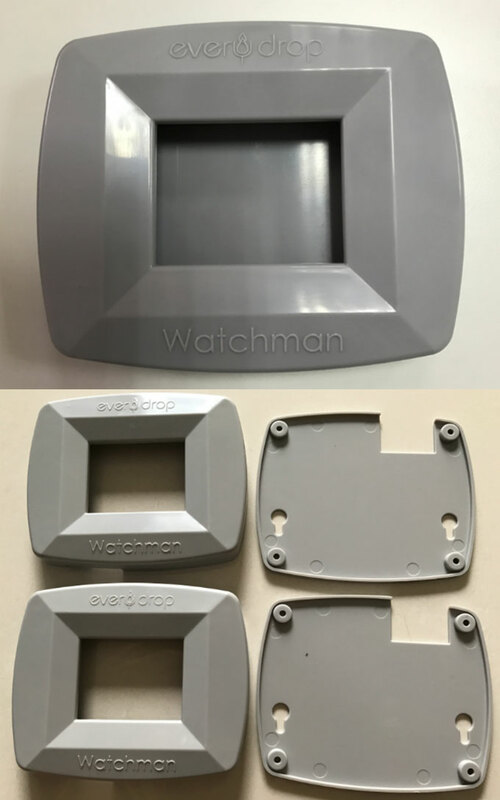 From this project, you can see the product designs from customers are not always the optimized one, sometimes the defects of the molded parts are caused by product design problem, the purpose of DFM analysis made by ACO Mold is to avoid such defects before mold making. How Much does an Injection Mold Cost in China? Copyright © 2019 Aco Mold, All Rights Reserved.